Hybrid innovation has moved so fast that both the 2017 Honda Accord Hybrid and the 2017 Toyota Camry Hybrid are capable of astounding Goshen, Monroe, and Newburgh drivers with their agile and fuel-sipping drives. But even among the most up to date vehicles there are differences, and a comparison of the two sees the 2017 Honda Accord Hybrid coming out ahead across the board. Where Toyota have adopted the normal path of dropping weight and slightly refining their hybrid system, Honda have innovated beyond the competition. Their 2.0L i-VTEC Atkinson Cycle engine has been paired to a groundbreaking Dual-Mode hybrid system, which switches intelligently between three drive modes in place of conventional transmission.EV Drive operates on the electric propulsion motor and lithium ion battery pack only, Hybrid Drive uses electric power for the front wheels with the gas engine providing support, and Engine Drive combines the gas engine and propulsion motor. Performance: You can expect a total combined output of up to 212-hp with the Accord Hybrid vs 200-hp with the Camry Hybrid. When you choose to pay extra for a hybrid model, you expect to receive the very best. With the Accord Hybrid able to outpace the Camry Hybrid while also delivering radically superior mileage ratings, choosing between the two shouldn’t be too difficult. The 2017 Honda Accord Hybrid is an unmistakable front-runner when it comes to performance and efficiency, but don’t run away with the idea that that’s all it has to offer. 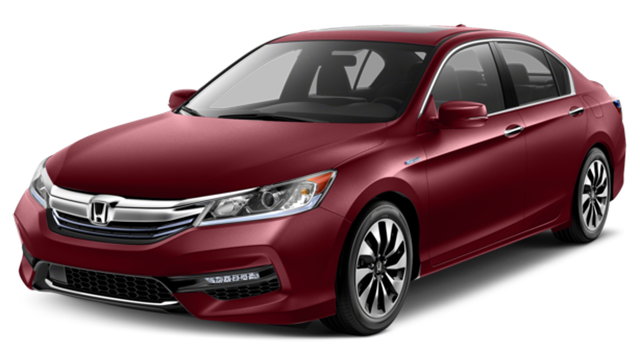 It also sports a supremely comfortable interior: with its low beltline, slim roof pillars, and wealth of glass, the cabin feels open and relaxing.The Accord Hybrid also offers plenty more space than that of the 2017 Toyota Camry Hybrid, with up to 39.5 in. of front headroom and 39.3 in. of rear legroom vs 38.8 in. and 38.9 in. the Camry. You’ll even enjoy a little extra trunk space, with 13.5 cubic feet in the Honda vs the 13.1 cubic feet of the Toyota. Heated Rear Seats: New York can get plenty cold during the winter months, so it’s a good thing that the 2017 Accord Hybrid lets you heat the seats in both the front and the rear to make sure everyone is kept warm. Apple CarPlay/Android Auto: Up-to-date cars require the latest connectivity devices, so that’s just what you’ll find in the Accord Hybrid. Sync up your compatible iPhone or Android, then use a growing selection of apps and features through your Accord Hybrid. 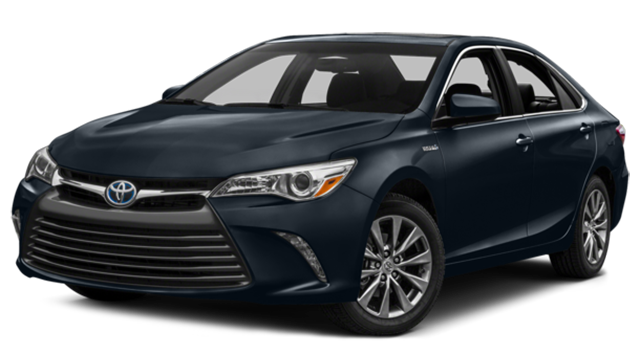 Multi-Angle Rearview Camera: The Camry Hybrid also comes with a rearview camera as standard, but it lacks the three viewing modes that makes the Accord Hybrid’s so useful. Not all of these technologies are available with even the most expensive Camry Hybrid trim level, but the Accord Hybrid offers each one as standard with every model. The Accord Hybrid offers stronger performance and efficiency scores, more space, and a far greater range of features than the Camry Hybrid, so deciding between them should be child’s play. If you’d like to take the Accord Hybrid out for a spin, don’t hesitate to contact one of the team here at Middletown Honda today. *49 city/47 highway/48 combined mpg rating based on 2017 EPA mileage ratings. Use for comparison purposes only. Your mileage will vary depending on driving conditions, how you drive and maintain your vehicle, battery-package/condition, and other factors.